The highly anticipated annual Apple keynote event took place yesterday – and it was a special one as Apple are celebrating the 10th anniversary of the iPhone. We were expecting something fresh and innovative to mark the occasion – and Apple didn’t disappoint. The most exciting thing that Apple unveiled at the event was the iPhone X (pronounced 10). The sleek, 5.8 inch phone is almost entirely screen, and comes with a bunch of new features. You will be able to unlock your new phone using your face – facial recognition software allows you to unlock the phone, pay using Apple Pay, and customise the new Animojis just by looking at your phone. Animojis will allow emojis to mimic your facial expressions, which should be fun! You’ll also be able to charge the iPhone X without any cables – new wireless charging means you’ll be able to simply place your phone on the new wireless charging docks. This is more of a novelty than a practical feature as you won’t be able to use your phone while it charges, and you’ll have to pay extra for the docks – but you’ll still be able to charge your phone using the lightening cables if you’re not sold on the idea. The new phone also comes with a futuristic-sounding A11 Bionic chip, which will mean that your phone is faster, has a longer battery life, and will allow you to play more advanced games. It will also have the new iOS 11 operating system. All these new features come at a price though! The 64GB model starts at £999, while the 256GB model starts at £1,149. 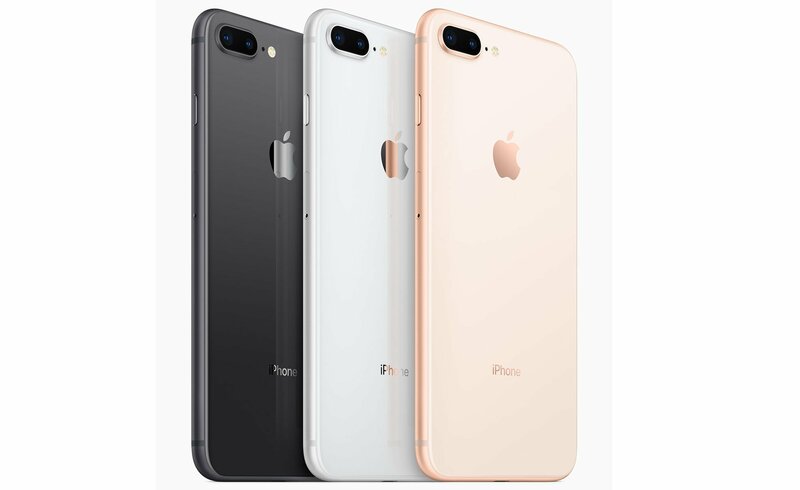 If you want one of the new iPhones, but the X is a little out of your price range, Apple also unveiled the iPhone 8 and the iPhone 8 Plus. Physically, they don’t look much different to the iPhone 7, but they have a glass front and back. Apple have described it as the “most durable glass ever in a smartphone” – but we have a feeling that some serial phone smashers will still panic at this news! 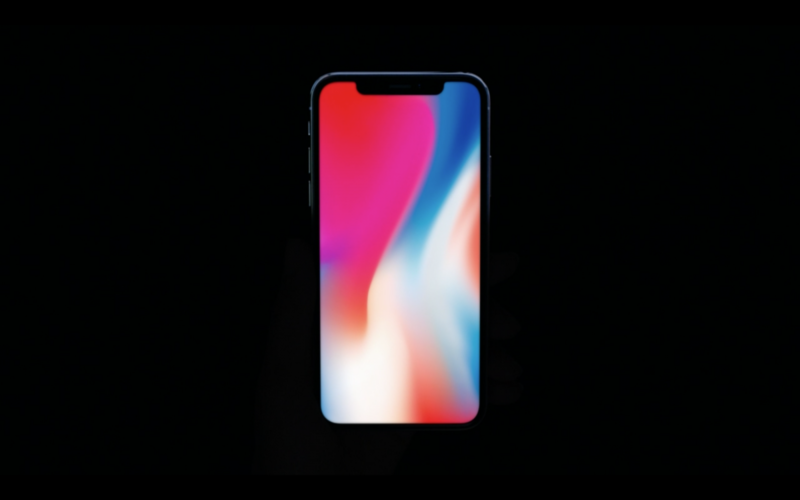 The iPhone comes with most of the features of the iPhone X, including wireless charging, the new A11 Bionic chip and Face ID. Both phones also boast the usual features which can be seen in previous iPhone models, like water resistance and 3D touch. Dual-domain pixels will also mean that you can see the screen from “almost any angle”. The iPhone 8 is cheaper than the X, starting at £699 for the 64GB 8, and £799 for the 8 Plus, and will come in space grey, silver, and gold. Both the iPhone 8 and the X will come with the new iOS 11 operating system. It has been created with the new phones in mind, so Apple customers with older iPhone models shouldn’t expect to see staggering changes. But we will be able to enjoy a more impressive Siri, which will be faster, will be able to translate what you say into different languages, and will be able to work with more apps. Apple have also said that Siri will have a new and “more expressive” voice. Apple music customers will see what their friends are listening to, while iPad users will be able to find their favourite apps faster, with the new “Dock” at the bottom of the screen. Siri can also speak back to you now! Apple watch users have been begging Apple to include this feature for a while now, and Siri can finally answer your demands out loud. The new 4K Apple TV boasts 4 times more pixels than standard HD TVs – this means a much crisper picture when watching Netflix or movies from the Apple Store of course. You will also be able to view your own photos and videos in 4K. It all sounds pretty impressive – now to wait until they’re released and see if the new products live up to the hype! The iPhone X is available to pre-order from October 27th, and is released on November 3rd. The iPhone 8 and 8 Plus is available to pre-order from September 15th, and is released on September 22nd. The Apple Watch 3 and 4K Apple TV is available to pre-order from September 15th and available on September 22nd.